Polar expeditions company Quark Expeditions® revealed its NEW Antarctica program for the 2018-2019 season, which includes the announcement of World Explorer, their new luxury, all-suites ship, an expanded Falklands & South Georgia itinerary, and two brand new photography trips. Quark has added World Explorer, a luxury vessel to its fleet of expedition cruise ships, continuing to bring a modern and comfortable cruise experience to Antarctica. This new addition to the Quark Expeditions® fleet is an all-suite, all-balcony vessel and will embark on ten voyages during the upcoming season. The ship has six suite options for 176 guests, all with luxury private bathrooms, incredible exterior views and private balconies. Guests can enjoy an outdoor running track, a dedicated spa area with an outdoor heated pool, a gym and a sauna, as well as gourmet meals and drinks. A glass domed observation lounge and ample deck space allow for stunning views across the polar landscape and its wildlife. Photography fans will be excited to learn that Quark Expeditions® is launching their first-ever Quark Antarctica photography trips for this upcoming season, taking photography novices, hobbyists and pros to the most beautiful corners of Antarctica. On-board photography experts will help guests hone their photography skills through workshops and lectures, and will showcase their skills by joining land excursions with the specific focus to provide photography advice. The new itineraries are tailored to maximize expedition time and thus photography opportunities. All trips are aimed at both amateur photography fans as well as aspiring professionals. After all, a trip to Antarctica is an adventure of a lifetime, and Quark Expeditions wants to make sure that the photos travelers get to take home will do justice to all the unforgettable moments experienced on the expedition. On this photographic voyage to the South Shetland Islands and Antarctic Peninsula, travelers get to discover what has lured explorers and adventurers to this remote region for centuries. With an itinerary governed by Mother Nature, each expedition is personal and each day more beautiful than you ever imagined, rewarding with an abundance of photo opportunities and unforgettable memories. Quark’s most in-depth exploration of the Antarctic Peninsula is a photographer’s dream, offering adventurers the opportunity to venture even farther south, across the Antarctic Circle, to photograph a destination so remote, few travelers have ever laid eyes on it. As they journey through this region of extremes, Quark’s photography experts will teach them how to capture this picturesque polar landscape like a professional. Imagine taking your skills to the next level shooting floating ice sculptures, mazes of massive icebergs, and hundreds of playful penguins and sunbathing seals. Rich in history and home to astoundingly diverse and abundant wildlife, South Georgia is often called the Galapagos of the Poles. This epic expedition to remote lands traversed by the legendary explorer Sir Ernest Shackleton gives adventurous travelers the unparalleled opportunity to explore this wildlife paradise and the equally unspoiled and storied Falkland Islands (Islas Malvinas) in great depth. 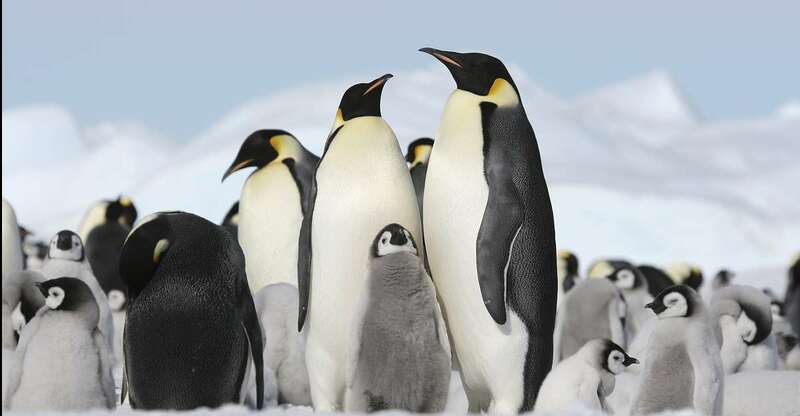 It’s particularly suited for travelers who have been to the Antarctic Peninsula before and are keen to spend more time on the Falkland Islands and South Georgia. Days will be devoted to experiencing one of the last untamed places on the planet, with its rugged, pristine landscapes and varied wildlife whilst offering more cultural experiences than other trips. The Falklands archipelago contains two main islands—East Falkland and West Falkland—and is home to thriving magellanic, gentoo and rockhopper penguin colonies. West Point Island has been identified as an important bird area for its several significant bird species, including the endemic Cobb’s wren and Falkland’s flightless steamer duck. Although South Georgia’s storied history is an important attraction, it is the abundant wildlife that is sure to captivate. Landing sites on the island are varied, with South Georgia being one of the most fertile breeding grounds in the world and beaches blanketed with penguins—king and macaroni penguins, in particular. The island is also a paradise for bird lovers, who will marvel at the plentiful petrels, albatross and burrowing seabirds.